This “Study Guide” is designed to provide the electrical troubleshooter with a review of, and the mechanical troubleshooter with an introduction of, basic electrical skills needed for him/her to safely and more efficiently carry out their duties in the plant environment. After successful completion, the troubleshooter can improve their understanding of DC, AC, three phase circuits, Relays, Contactors, PLC, Electronics, and other related technology. To improve the understanding and application of electrical theory related to the principles of operation of manufacturing equipment. Understand the properties of magnetism and how they relate to electromagnetic concepts as applied to contactors, relays, generators, motors, and transformers. Explain the generation of an A.C. sinewave using the associated terms. Draw transformers, explain the operating principle, and solve problems using voltage, current, and turns relationships. To improve the understanding of the different types of electrical drawings and the use of electrical drawings associated with trouble-shooting procedures. Recognize the standard electrical schematic symbols. Relate symbols to the actual device. Use symbols and basic drawing techniques to draw valid circuits from word descriptions. Use electrical schematics to determine operating cycles for machines. 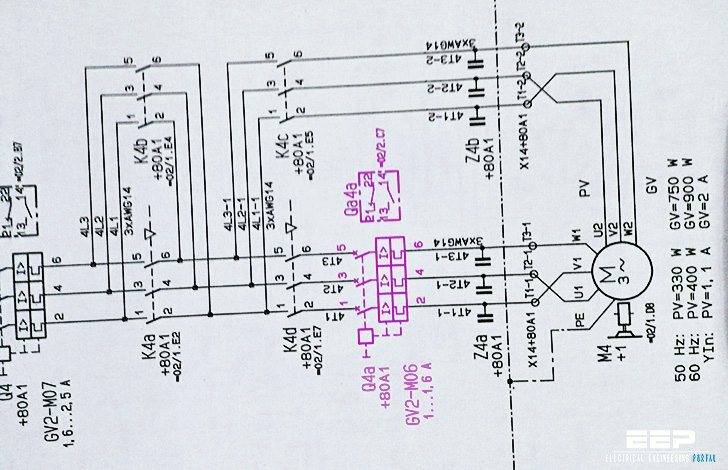 Use electrical schematics to analyze conventional machine faults such as open circuits, ground faults, and short circuits. To improve the understanding of safe, simple, and logical trouble-shooting procedures on conventional relay controlled machines. Have become familiar with and practiced appropriate safety procedures during troubleshooting. Be able to locate and repair open circuit faults using a safe, efficient procedure. Be able to locate and repair ground faults and short circuits using a safe, efficient procedure. 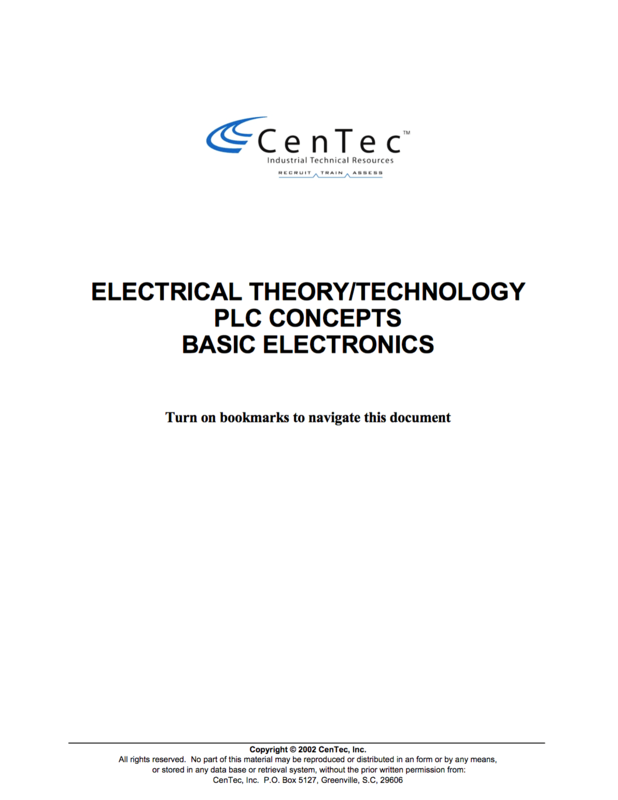 Title: Electrical theory / technology, PLC concepts and basic electronics – CenTec, Inc.
Pls send me more informations on electrical technology. Thank you in advance. Thank you sir!! A lot of information i need to review that i can see in one file. Best Regards. I’m interested to partnership with you. I care about power electronics. Measuring and control devices. Electrical technician installation in natural gas projects. Thank you Marcio, that’s very kind of you. Your all electrical Notes is very sufficient for an electrical engineer,supervisor, foreman. But I want to request to you that please share also Maintenane Procedures for transformers, Motors etc. Please. I need more information for Motors . Some articles are simple and others give more information. That’s great for a so big and heterogeneous public. Thank you Marcia for the gift of knowledge and service to humanity.